The Consumer Council for Water currently represents water and sewerage customers in England and Wales. 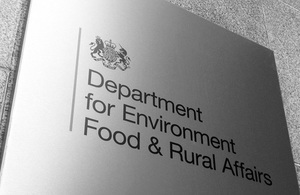 Professor Bernard Crump and Sir Tony Redmond have been appointed to the Board of the Consumer Council For Water by Environment Minister Richard Benyon. Professor Bernard Crump’s appointment will run from 1 February 2013 for four years. He will lead the work of the Consumer Council for Water in representing the interests of the customers of Anglian Water, Severn Trent Water, Cambridge Water, South Staffordshire Water and Essex and Suffolk Water. Sir Tony Redmond’s appointment will run from 1 March 2013 for four years. He will lead the work of the Consumer Council for Water in representing the interests of the customers of Thames Water, Southern Water, Sutton & East Surrey Water, South East Water and Portsmouth Water and Affinity Water. The appointments have been made in accordance with the Code of Practice issued by the Commissioner for Public Appointments. All appointments are made on merit and political activity plays no part in the selection process. Board Members receive a remuneration of £35,366 for three days work per week. The Consumer Council for Water currently represents water and sewerage customers in England and Wales. It represents the views of customers to Government, the regulators and water companies. It also handles complaints about water companies where customers are not satisfied with a company’s response. Sir Tony Redmond is a Local Government Boundary Commissioner, Treasurer of Unicef UK and currently President of the Chartered Institute of Public Finance and Accountancy (CIPFA). He was, until 2010, Chairman and Chief Executive of the Commission for Local Administration in England and Local Government Ombudsman. This followed a substantial career in Local Government where Tony held the post of Chief Executive of the London Borough of Harrow as well as Finance Director roles at Knowsley Metropolitan Borough Council and the Merseyside Police Authority. Professor Bernard Crump is a qualified medical practitioner with postgraduate training and an expert in Public Health. He has been a Director of Public Health, Chief Executive of a Strategic Health Authority, and the Chief Executive of the NHS Institute for Innovation and Improvement. He is currently Professor of Medical Leadership at Warwick Medical School. He has lived and worked in the Midlands for more than 25 years.